I can remember being a child and hating those little velvet dresses my mother used to put me in around the holidays,. 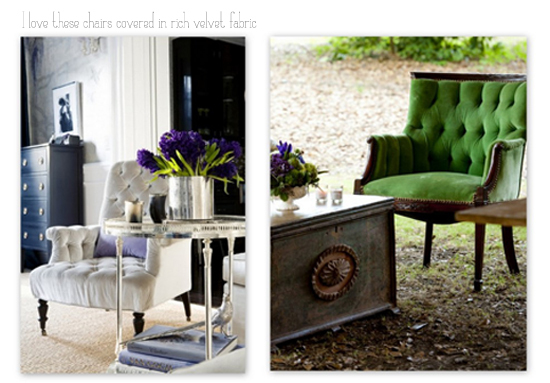 Now when I think of velvet it conjures up a completely different image for me. It is such an oppulent textile with such rich and deeply colored hues. Put it on a chair or sofa and it instantly brings depth and presence to a room. While we were shopping for couches, we almost bought West Elm's Henry couch which is stocked in a gray velvet. There was a time when I would have never even considered velvet as a fabric option but now I just can't get enough of it. What do you think? 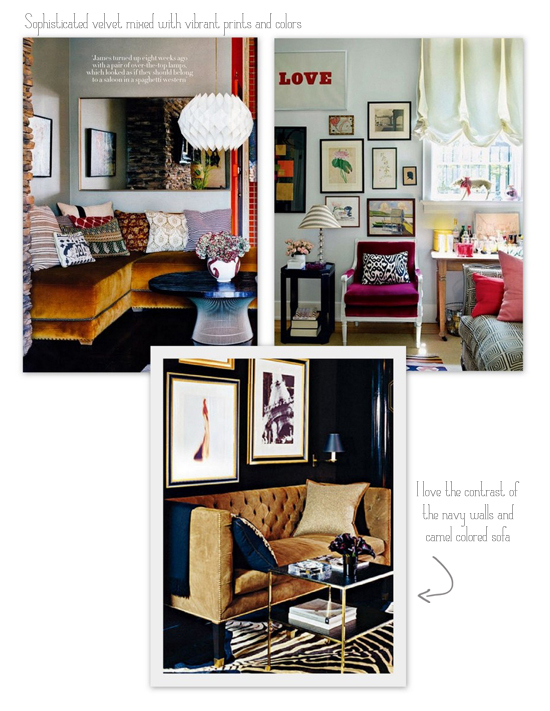 Are you a fan of velvet fabric? Would you ever consider upholstering something in velvet? Velvet reminds me of the goth phase I went through in high school ;p It is a nice upholstery fabric though. Haha! Yes, I could definitely relate it to goth too!